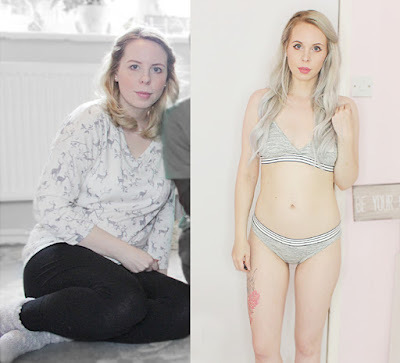 My plan is to do more health, fitness and well being videos and posts this year so I thought - why not start with my most recent weight loss journey? In total I've lost between 20 and 50 pounds five times, three of those times after pregnancy. Each and every time I tried something different - but always stuck to healthy eating. After my third baby, Skyler, I wanted a quick fix. I desperately wanted to feel like myself again and as soon as I could. I didn't have the energy or time to do much exercise at all so simply focused on weight loss. When I drank my first Protein World shake I weighed 145 pounds. 3 and a half months later I was down to 110 pounds - still 15 pounds away from my pre-pregnancy weight, but we started trying for another baby and I stopped drinking the shakes. I want to tell you that WANT and MOTIVATION is the key to it all. Every single weight loss approach works, if YOU work with it. To me, feeling comfortable in my body is everything. If I don't, I'm miserable. It's not a state I want to live in. So MOTIVATION comes so easy for me, and it can do for you too! You choose it, it's Your life! Protein World ey? Does it taste amazing? How's the texture? How does it make you feel? I'm not someone who jump on all new crazes and fads, but I do like to try new things. I've been sticking to Atkins with my other weight losses (as it's low in sugar!) but wanted to try something different, and Protein World promised a low sugar alternative in a market that has very few options. The consistency is like water, which is why I like to add thicker, pure protein powders to it to bulk it out. My favourite is Nature's Garden Soya powder. I really like the PW chocolate and strawberry flavours, but the vanilla tastes more like cookies and only works in protein pancakes and smoothies. The Slender Blend makes you feel full. 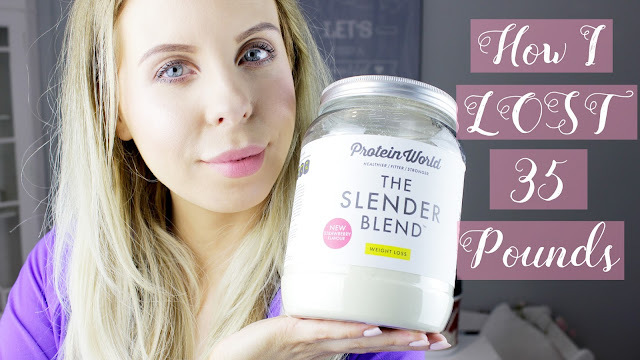 It really helps take away hunger pangs and that's something I was pretty surprised about as Atkins and other protein powders don't have that same effect. Do I recommend Protein World? If you like the idea of shakes, if you have a sweet tooth and you want to lose weight - then YES! You'll like PW. However, it's not a long term solution. You need to keep up with the healthy meals when you eventually come off the powders as they are not meant to be taken forever. Losing weight is a Lifestyle Choice, it's a new way of life. I also don't recommend PW for pure muscle building as the Protein content isn't very high (at around 60 grams per 100 grams), you'd do much better opting for a pure powder like Nature's Garden (which I mentioned above) as that contains 85 grams per 100 grams! Lastly - is this post sponsored? I wish! :D Jokes aside, Protein World worked for me, and that's why I've chosen to talk about it. It's not a long term solution, but a quick fix. So if you're looking for a push to start your weigh loss then try it. And no, this isn't sponsored BUT it contains an affiliate link to where you can buy your PW powder and that link is HERE. Incredible you've consistently lost the weight between each of your pregnancies, kudos to you! :) I've never tried Protein World but know they're very popular with some! Well done you! I haven't ever heard of Protein World but it's clearly something that works. It's so easy to put off weight loss after babies, I'm certainly guilty of that, but you have such great focus.